DENVER, Colo. (March 8, 2016) – Joe Garone, president of Furniture Row Racing, has informed NASCAR it has withdrawn the appeal for a prerace infraction at Atlanta Motor Speedway. Garone, who met with NASCAR officials, said he was satisfied with the clarification of the penalty and was appreciative of the sanctioning body’s cooperation on this matter. Furniture Row Racing crew chief Cole Pearn will serve his one-race suspension at this weekend’s NASCAR’s Sprint Cup Series race in Phoenix. Subbing for Pearn on race day in Phoenix will be former Furniture Row Racing crew chief Todd Berrier, who is now the director of fabrication at Joe Gibbs Racing. Berrier will call the race strategy on top the pit box for Martin Truex Jr.’s No. 78 Bass Pro Shops/TRACKER Boats Toyota. Berrier and Pearn have had a long-standing relationship as co-workers. Berrier was the crew chief at Furniture Row Racing from July 2012 through the 2014 season while Pearn served as the team’s lead race engineer during the same period. 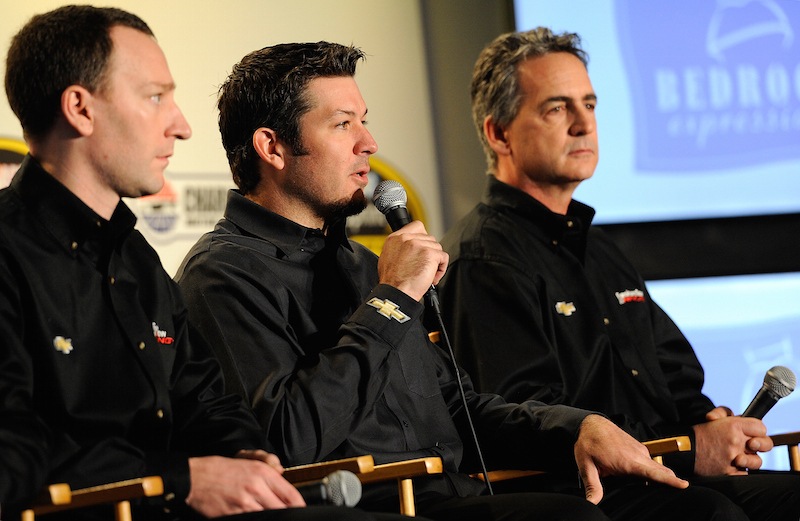 Berrier and Pearn also worked together at Richard Childress Racing and JTG Daugherty Racing.